WIN SWAG! - Win a DVD Copy of "TO BE TAKEI" from Back2Stonewall.com and Falco Ink. Home/Entertainment/WIN SWAG! 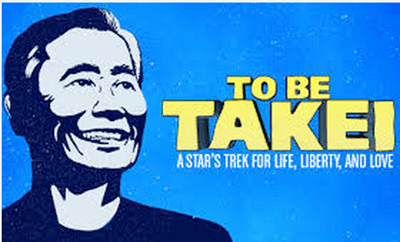 – Win a DVD Copy of “TO BE TAKEI” from Back2Stonewall.com and Falco Ink. WIN SWAG! – Win a DVD Copy of “TO BE TAKEI” from Back2Stonewall.com and Falco Ink. Back2Stonewall.com along with Falco Ink. is giving away 3 copies of the heartfelt and hilarious documentary TO BE TAKEI! TO BE TAKEI is an entertaining and moving look at the many roles played by eclectic 77-year-old actor/activist George Takei whose wit, humor, and grace has allowed him to become an internationally beloved figure. The film offers unprecedented access to the day-to-day life of George and his husband/business partner Brad Takei and chronicles George’s fascinating personal journey, from his childhood in a U.S. internment camp for Japanese Americans during WWII, to his iconic and groundbreaking role as Sulu on “Star Trek,”® to his rise as an internet phenomenon with over 7-million Facebook fans. The film shows what it truly means TO BE TAKEI. TO ENTER just send an email to info@back2stonewall.com with the words I WANT TO BE TAKEI in the subject line!